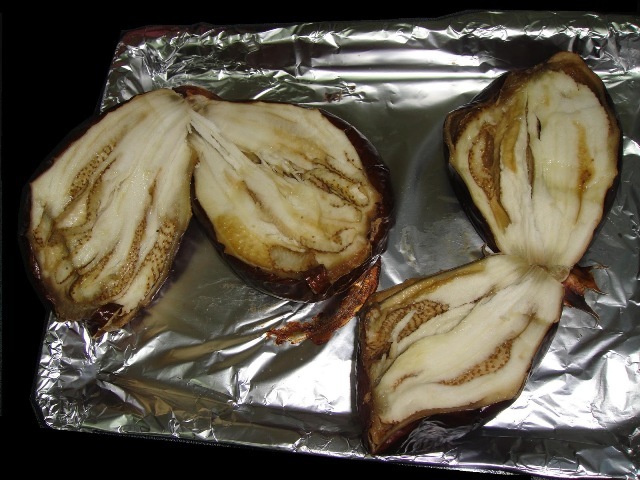 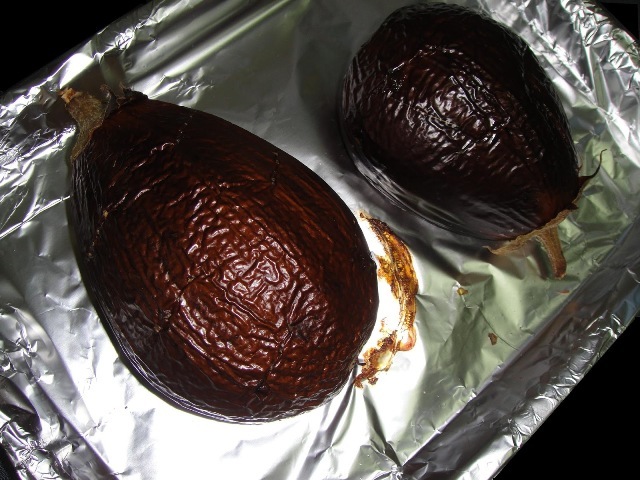 Poke the surface of the aubergines with a fork a couple of times before roasting it in the oven for about 45 minutes. 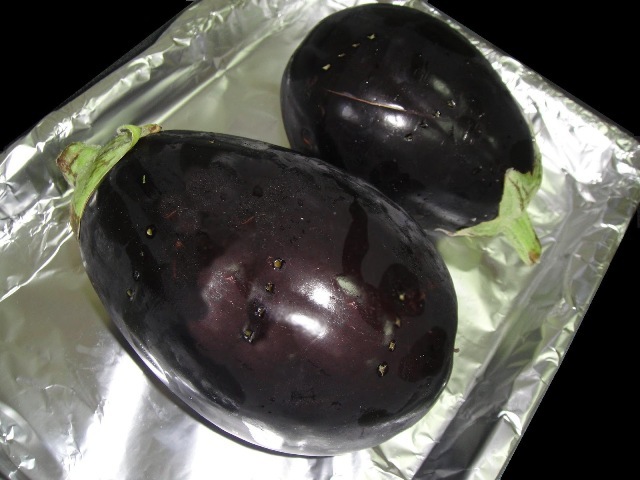 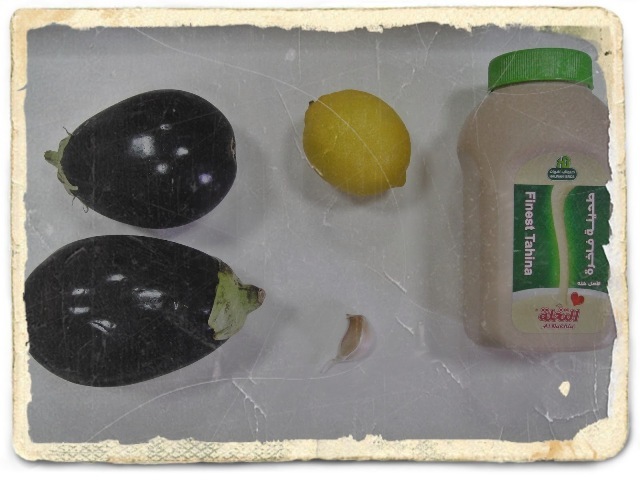 Let the aubergines cool a little before cutting it in half and scraping out its silky flesh in a bowl. 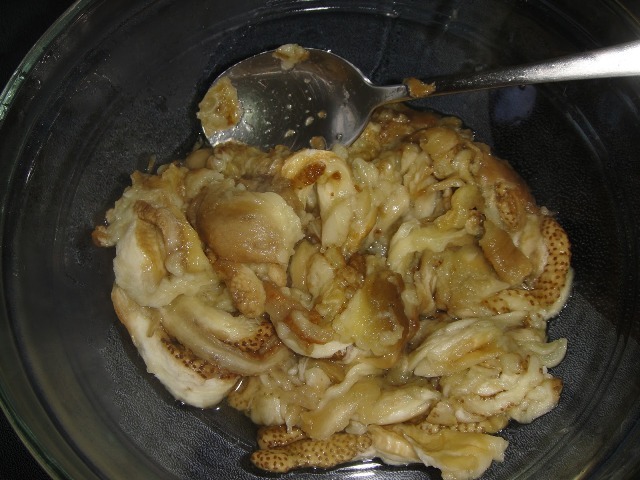 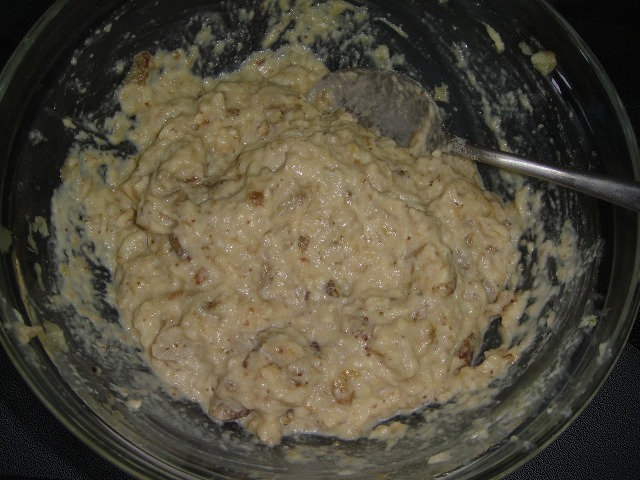 Stir in the lemon juice, tahini, the crushed garlic clove, and salt to taste. 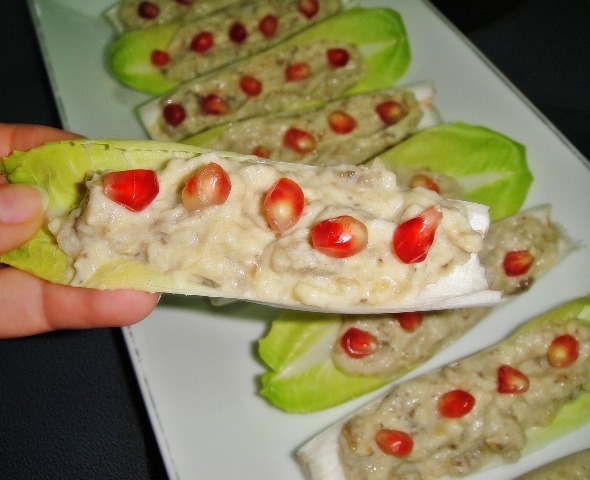 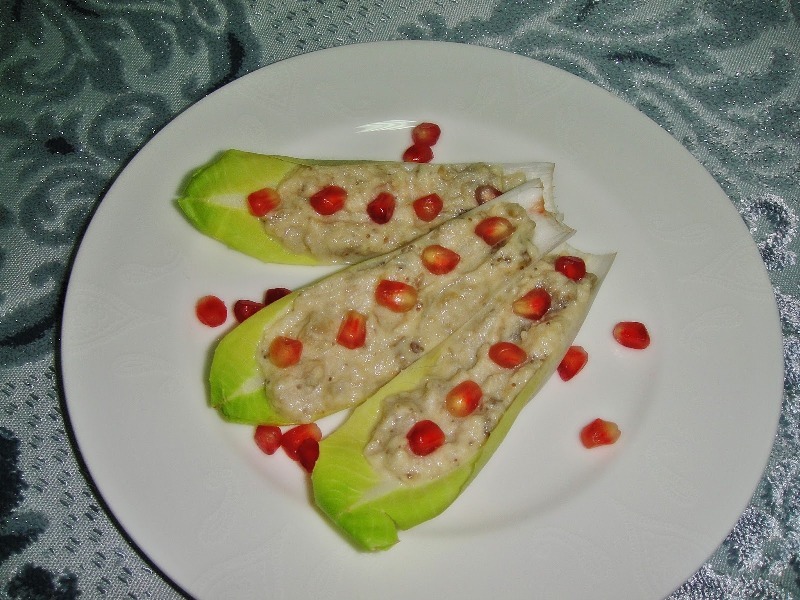 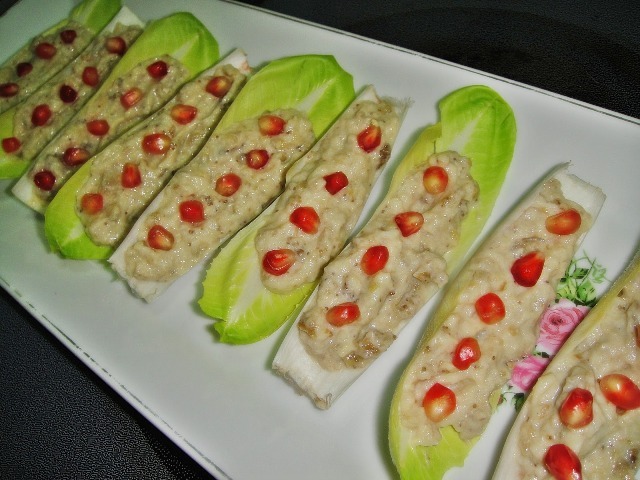 To decorate its presentation, just before serving spoon some baba ganouche in an endive leaf and sprinkle with some fresh pomegranate seeds.